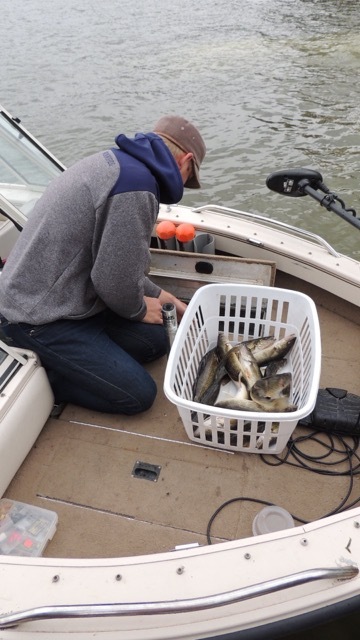 What a fabulous spring fishing season we’re having here on Big Whiteshell Lake.According to veteran fishers here on the lake, it is unlike anything they’ve ever seen! The annual Firefighters Burn Fund Fishing Derby caught and released nearly 2,000 fish…..mostly Pickerel…..during their 2 day fundraising event. And they released them right here in our bay! Hooray! We just welcomed a camp full of Americans who we’ve been hosting for about 15 years.It’s fun to see how much their children and grand children have grown in the past year.They, too, had happy faces and full bellies after a week of fishing.It is so nice to see fishing off to a great start. In between guests, we’re busy sprucing up the yard, planting flowers, staining decks and stocking the store with bait, tackle, fishing licenses and a new line of clothing. Nice quality and wide variety of styles and colours. Busy making the lodge guest ready for all of you. Life is good here in our little piece of paradise. Come, join us and enjoy fantastic fish’in!! !